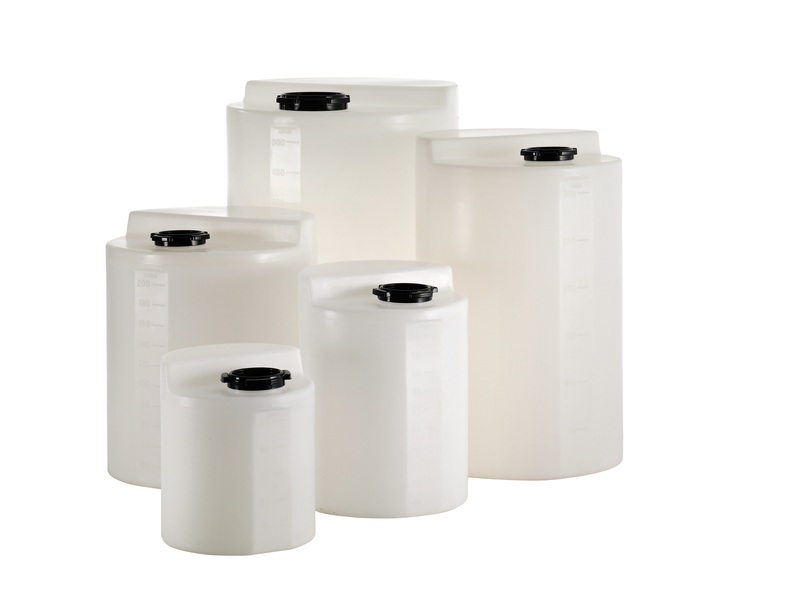 The Supertuff range of circular plastic storage tanks (day tanks) are commonly used throughout the water treatment and chemical dosing industries as dosing tanks but are also used in a wide variety of other industries. 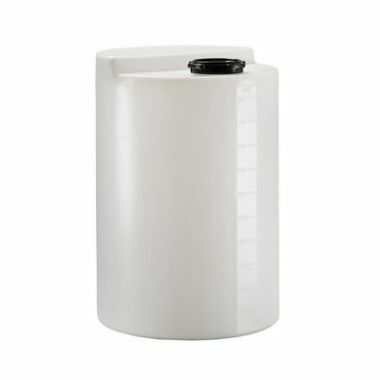 Available in a variety of different sizes, with capacities spanning from as small as 25 litres up to a huge 1000 litres, Supertuff Europe offers a complete range of liquid handling round plastic storage tanks to meet your requirements. Incredibly durable and robust, the round plastic storage tanks are manufactured from virgin food grade, food approved polyethylene and are suitable for containing a vast number of different liquids and chemicals. 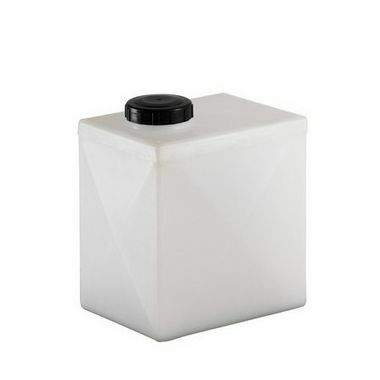 Produced as standard in the natural (opaque white) material, the contained liquids are clearly visible and can be easily measured. 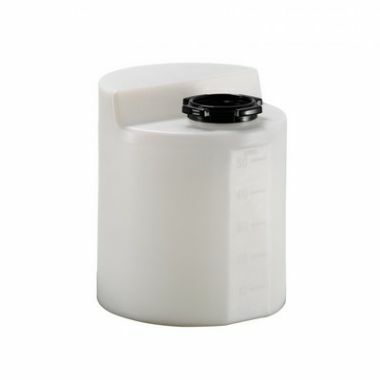 Each of the liquid storage tanks incorporate a volumetric measurement gauge helping further with chemical volume calculating. 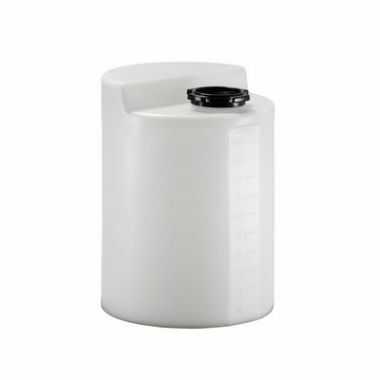 Supplied complete with a tightly fitted plastic screw cap, the plastic storage tanks have a stepped top design that allows for instruments or pumps to be easily attached to the dosing tank. 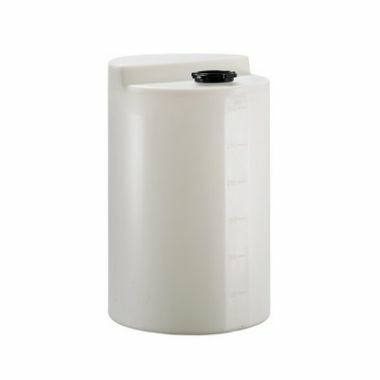 Alternative colour options are available for these circular general purpose tanks if required and corresponding containment bunds are also available.